When working on e-designs, I always scour stores (both online and retail) to find furniture and accessories that combine both quality and value. 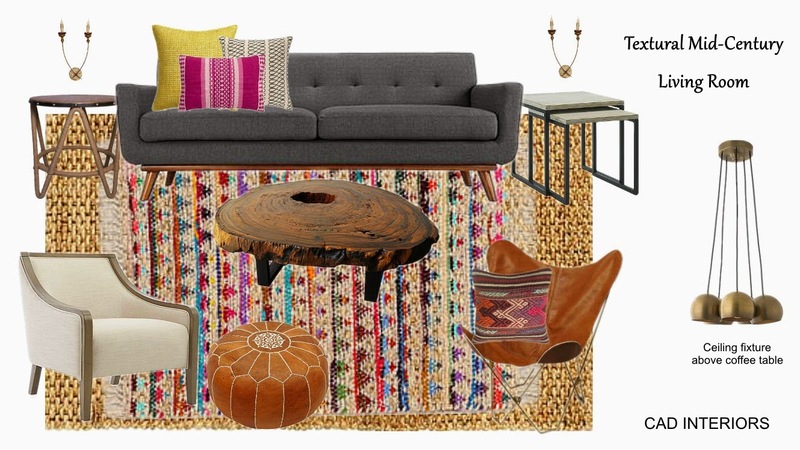 I like to mix high and low pieces to help maximize budgets. 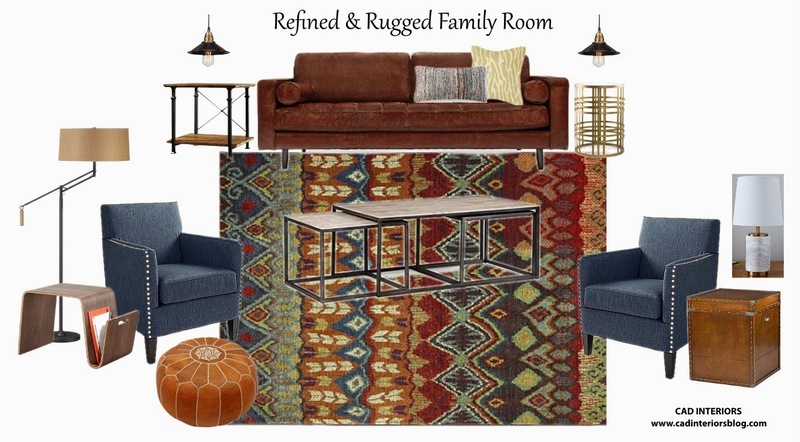 While sourcing items for some current projects, I found several "new" pieces that caught my eye and inspired me to create this family room mood board. 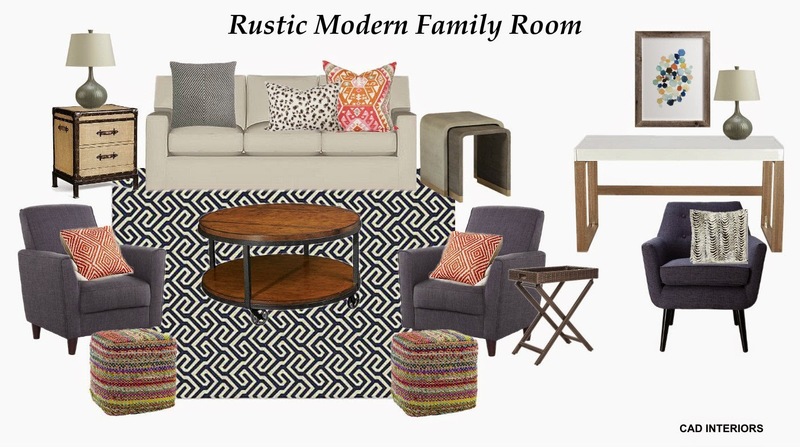 It features a combination of masculine and feminine, modern and transitional/industrial elements to give the room a "refined and rugged" feel. If you're interested in the details/sources of this design, or any of my previous designs (here and here), please e-mail me and I'd be happy to assist you. In the near future, I will be rolling out a new service that will compliment my customized e-design services. So stay tuned for the announcement!